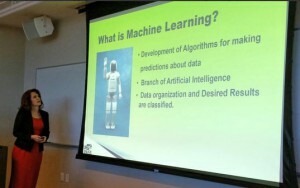 It’s always hard to talk about Hadoop as the subject is so broad that there were a lot of things that I had to leave out, so it is fortunate that I have this blog to discuss the topics I wasn’t able to cover. I thought that I would take this time to respond to the questions I received. Do you need to Learn Java in order to develop with Hadoop? No. If you wish to develop Hadoop in the cloud with HD Insight, you have the option of developing with .net. If you are working in the Linux environments, which is where a lot of Hadoop is being developed, you will need to learn Java. Do you know of any courses or sessions available where you can learn about Big Data or Hadoop? How do you recommend a person with a BI background in SQL get started in learning Hadoop and where can I get the VMs? The two ways I recommend for a person with a BI background to get involved with Hadoop is either through a Hortonworks VM or in the Microsoft’s Azure cloud with HD Insight. Hortonworks provides a VM and Microsoft’s environment is hosted on their cloud. As the company that Microsoft partnered with to develop their Hadoop offerings, Hortonworks has very good documentation targeted to people who have more of a Microsoft BI stack background. If you chose to go with HD Insight, there is a lot of really good documentation and video training available as well. 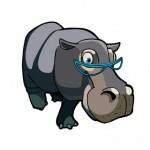 How do you compare Hadoop with the PDW? While both Hadoop and Microsoft’s PDW, which they now call APS, were both designed to handle big data, but the approaches are wildly different. Microsoft built the APS to handle the larger data requirements of people who have structured data, mostly housed in SQL Server. 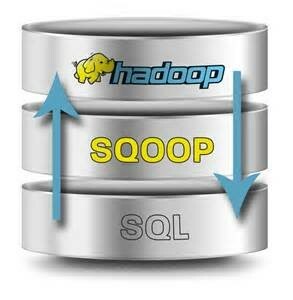 Hadoop was developed in an open source environment to handle unstructured data. How can I transfer data into HD Insight? This is a great question, which I promise to devote an entire blog post to very soon. I’ll give you the Reader’s Digest version here. There are a number of ways you can transfer data into HD Insight. The first step is to transfer the data into the Azure cloud, which you can do via SSIS, with a minor modification of the process I blogged about earlier here. The other methods you could use to transfer data are via secured FTP or by using Powershell. You will need to call the REST API which you use to provision an HDInsight Cluster. There is also a UI you can use within HDInsight to transfer data as well. I really appreciate the interest in the Webinar. One of the reasons that I enjoy working with data, and especially the new analytical models is because when you have lots of data, you can analyze it to make decisions which may go against many misconceived preconceptions. One of the data projects I worked on in the past, gathered all of the call center data from the phone switches and matched it against the number of payments received from the people who were called. When the results were analyzed, the business chose to make different decisions than they had in the past. Previously the call centers were evaluated by the number of calls made, not what happened when someone was called. As a result in the change of the evaluation methodology, some call centers were closed, some managers were promoted, and other managers were fired. Absent data, decisions are made which can be called into question. Decisions made without Data are really H.I.P.P.O. In absence of having any data, decisions are often made using the H.I.P.P.O method, which stands for HIghest Paid Person’s Opinion. When data is gathered and displayed in a transparent manner, the managers knew they were underperforming and knew the consequences and were highly motivated to improve. HR felt confident that the reasons for letting people go were not going to be challenged, so they felt free to act as well. There are many examples where providing accurate clear data removes the questions people have regarding decisions. One other example which comes to mind was the question regarding the selection of speakers at the upcoming PASS Summit. As a disclaimer, I did not submit, so I was not surprised when I was not selected. PASS released the speaker feedback providing the data people needed to understand the criteria for acceptance. 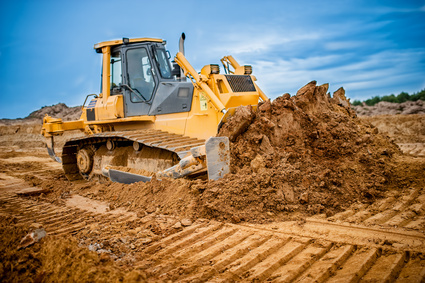 Gathering data and developing systems to accurately display it isn’t just a task undertaken because people like the technology, it is the method where transparency and decision making can be undertaken. So next time you are asked to create a report think about what you are really doing. 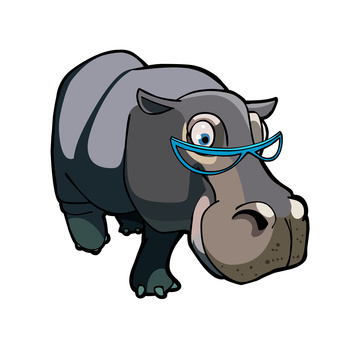 It’s not an exercise in SSRS, you are providing tools which allow decisions to be made based on facts, not HIPPOs.